The new Mesivta Lubavitch of Monsey which opened at the beginning of this year is continuing to grow and is pleased to announce the hiring of a new Menahel. as well as the need for another quality Mesivta for out-of-town bochurim. now hired Rabbi Sender Lustig to take on the role of Menahel Ruchni (principal). Rabbi Lustig hails from a family of noted mechanchim and is himself an accomplished mechanech, having taught for the past six years at both the Mesivta and elementary levels. 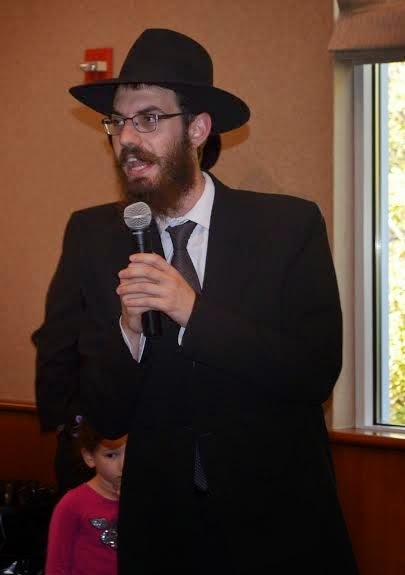 He is currently completing a three year program in the Lubavitch Kolel in Atlanta, where in addition to teaching in the local Chabad day school, he learned Dayanus, and taught adult education. Rabbi Lustig is passionate about now taking the Mesivta to the next level; to become a Mosad from which the Rebbe would derive nachas, and be a beacon of Torah, Yiras Shamayim and Chassidus in the Monsey community and the Lubavitch landscape at large. His job will be to create a focused learning curriculum, implement successful teaching methodologies, assess the progress of the bochurim, and ensure their emotional and social well-being. The Lustig family will be relocating from Atlanta to Monsey in the near future. Rabbi Lustig, his wife Rochel, and their three children will be a great asset to our community. For more information and to request an application form for next year, parents can reach Rabbi Lustig at mesivtalubavitchofmonsey@gmail.com.